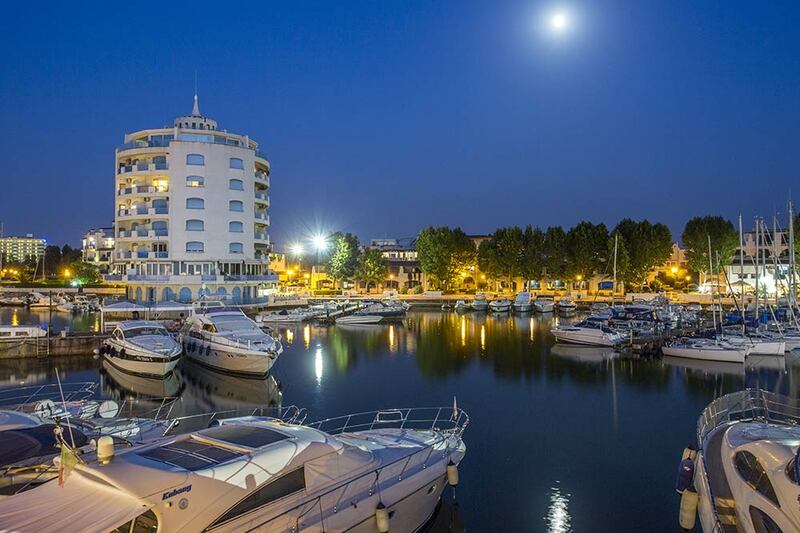 Portoverde Marina Resort lies in Misano Adriatico, between Cattolica and Riccione, 15 minutes’ drive from Rimini Airport. A few miles from the marina are Monte San Bartolo’s natural reserve and the Croatian coasts: Lussinpiccolo (90 miles), Zara (120 miles), Split (190 miles). Marina features two interconnecting docks; a short channel takes directly to the sea. 350 boat berths up to 25 meters in length. Boat spots come with water and electricity dispensers, floating jetties, fingers, mooring posts or buoys. A few steps away are well-extended equipped beaches and several bars, restaurants and shops.